When I logged in to check my mails after a fortnight of absence due to the fault in my phone connection I was quite overjoyed to see that I had been selected as the giveaway winner sponsored by Aarthi. I received this giveaway book last week which as you can see is by Tarla Dalal, a Padma Shree Awardee in the field of cooking. Thanks Aarthi for sponsoring. The pictures in this book are awesome and absolutely drool worthy. Hope I don’t stop with drooling over all the pictures and try out all the recipes. 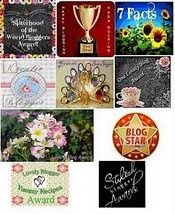 Also my blogger friends Sunanda, Sobha Shyam have shared some awards with me. Thank you so much ladies. An act of appreciation never goes amiss. 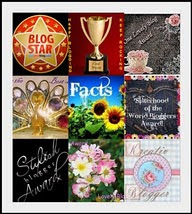 I would like to share this award with all new budding bloggers. Also Anamika has chosen to shower me with the following award. I feel so honored dear. Thanks a ton. Loads of wishes on your win Radhika- cheers ! enjoy Radhika! COngrats :)Have great weekend! 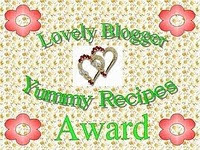 Many congratulations for winning the cook book and also all the awards. Congrats Radhika for the giveaway book and all the awards got! Congrats on ur win and ur awards..
Congrats! Thanks for visiting my space and I am your latest follower looking forward for more great ideas! 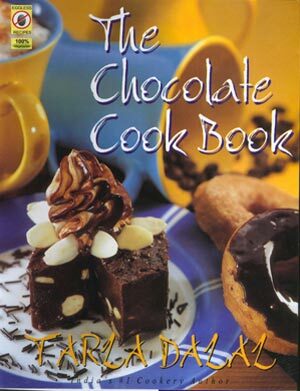 Congrats on ur win… Hope you try more and more choc recipes..
Congrats Radhika! The cover has me drooling! Thanks for stopping by at my place and your lovely comment. Of course I am following you! Congratulations on the Awards and the gift. 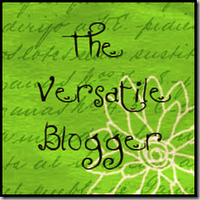 Thanks for stopping at my blog Radhika! You have a wonderful space here. Going through your posts now 🙂 Happy to be following you.